As much as I hate LSU, I have to say that last year’s Tiger’s team was one of the most exciting I can remember watching in a long time. They had big plays, talent, swag, and a list of impressive victories over eventual BCS bowl winners. Unfortunately for them, they lost to one of the BCS bowl winners in the National Championship (Alabama). This ring will be a reminder to all about who ends up on top last wins. Front runners don’t win championships, finishers do. Or it could be summed up in this: Coach Saban > Les Miles. 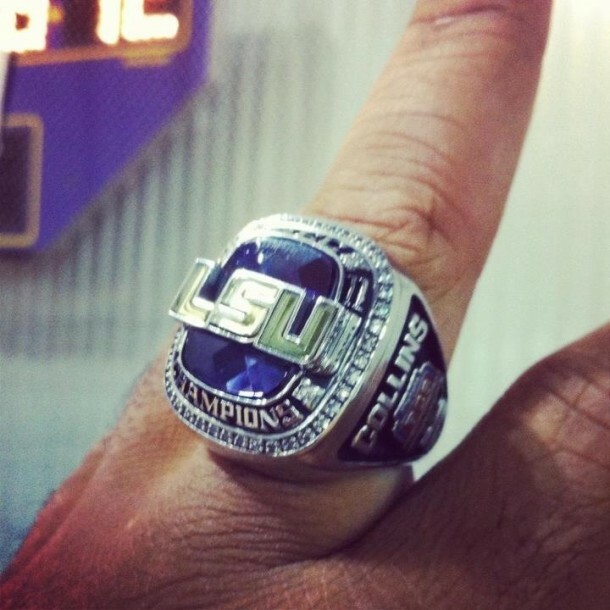 PHOTOS: LSU SEC Championship Rings Will Remind Tigers Of Losing To Alabama Forever | Saturday Down South.